Phoenix, AZ Print, Copy & Shipping Store | Copy This, Ship That! Printing, copying & shipping all at the same Phoenix store. Copy This Ship That, is an FedEx authorized Shipping Center! We’re also a multiple service USPS site. At Copy This, Ship That!, we go above and beyond to help you copy, print, fax or ship anything you need for you or your business. As a locally owned copy/print and shipping store in Phoenix, we understand that your day to day schedule is busy and no one wants to spend time worrying about copy or print jobs. We offer full service copying and printing services or self-service is available for those looking to print or fax on their own. So if you need printed brochures, blueprints, business cards, flyers, event banners, or anything else you can dream of, Copy This! can get the job done! We offer great pricing for our services and we even price match other print services in Phoenix to ensure you are getting the best service at the best price! We are a FedEx Authorized shipping center and multiple service USPS site, which means you never need to wait in line at a FedEx or Post Office for the shipping service you need.  Whether you need to ship one package or many, we offer shipping rate price comparison, which guarantees you receive the lowest shipping rates! Our FedEx rates are lower than standard retail rates. We can also help you get word about your brand out with more than 500,000 promotional products. By providing you with availability and pricing, we’re happy to help you make an informed decision as you shop with our partner to find the perfect items to suit your promotional needs. Conveniently located on Cave Creek Road in northern Phoenix, Copy This, Ship That! is the perfect solution to any copying, printing, faxing AND shipping needs. Our fun and fast service cannot be beaten, as we offer lower prices, faster service and the friendliest staff of copy/print stores in the Valley! Come in with your printing or copying job today! We’re happy to assist you and make copying fun again! Send us a quick message if you need more information or help with uploading your files.